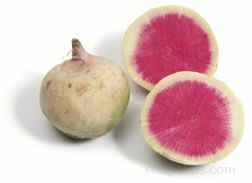 Watermelon is a large fruit that has a thick rind that surrounds a juicy, sweet flesh, which is often eaten on its own but can be added to salads, or made into jam, sorbet, and salsa. 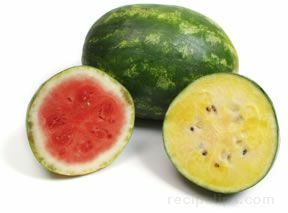 Watermelon’s airy flesh consists of 80 to 90% water. 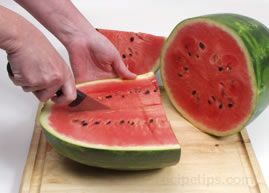 See how to remove the thick rind and how to remove the seeds.